So how do you know if you are ready? Or, perhaps you are a business owner who has a virtual assistant or someone else on your team who you suspect may be a great OBM for you… how do you know if they are ready? If this is a question you are considering, I invite you to take the Online Business Manager Readiness quiz – download a copy of the quiz here. 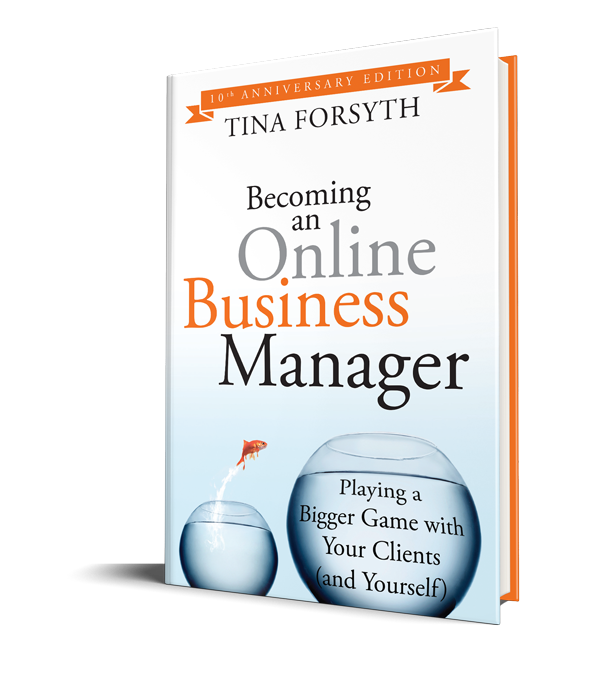 Those of you who have read the book Becoming an Online Business Manager will remember this quiz from page 31 – if you haven’t taken it already set aside a few moments to do so now. I invite you to consider this – the most important aspect of being ready is so much more about the ‘inner game’ than it is about skills and experience. If you can say a resounding yes to these (and the many other) statements in the quiz, then you have a pretty strong foundation to build on. Remember that the skills of the OBM can be taught (which we will be doing via the Certification Training that starts in 2 weeks) and experience will come over time. But your inner conviction, excitement and dedication to the role is what *really* counts. This is a reprint of an article from one of my favorite clients Gina Hiatt of AcademicLadder.com. Although written for the academic world, what she has to say is SO applicable to anyone imo – especially those of us starting, growing and supporting businesses. Enjoy! “Oh, good,” I said to myself, “Here are some of the books I ordered. I hope these are the ones about dealing with back pain.” The first book on the pile in the box was How to Grow a Backbone, by Susan Marshall. I did a double take, and then I realized it was a book I had ordered based on Meggin McIntosh’s suggestion during her presentation “Antioxidants for Toxic Academic Work Environments” (recording still available). Marshall defines backbone as “firm and resolute character” (p.10). In action, she says, it might look and feel like courage. The word “integrity” also describes someone with strong backbone. My belief is that everyone can grow a backbone, and that academia is a perfect place for you to learn how. This might sound like a harsh question, but it’s an important one. Here are some questions that I’ve come up with that you can ask yourself in order to find out if you are backbone-deficient. Do you look at the world as if it’s out to get you? Do you crumble when you get criticized or get negative feedback? More importantly, since no one loves to be criticized, do you have trouble pulling yourself back together after a day or two? Do you spend a lot of time complaining about others in a non-constructive way? Do your actions not match your stated goals? Do you let others distract you? Do you avoid all risk, even small ones? Do you let your day rule you, as opposed to you taking charge of what you do each day? Are you mean and nasty? Are you human? By that I mean that we all need help in growing more backbone. It’s normal to take avoid risks and not want to get hurt. We just need to challenge ourselves periodically to take the more difficult route, because of the advantages that can be gained by doing so. Competence. Be open to growing your ability in every aspect of your academic career, and not just knowledge of your field. Seek out help in improving your writing abilities, time management skills, and ability to deal with others, for example. Cultivate experiences that will help your competence grow. List all your talents and abilities and be aware of how much you’ve accomplished in the past few years. The ability to take purposeful risks. As Marshall says, this is “the ability to engage in intelligent, purposeful ventures on behalf of your career.” By taking on appropriate challenges, you will not only succeed some of the time, but you will get practice in learning how to cope with setbacks, criticism and disappointment. What is the difference between an Online Business Manager and a Virtual Assistant? It is by far the question I am asked most often, and for good reason. Although similar in nature, there are some very key differences between the role of Online Business Manager and Virtual Assistant. If you are a VA or aspiring OBM it’s really important for you to understand these differences, so that you can a) decide which role is the best fit for you and then b) be able to clearly articulate the difference to your clients. If you are a business owner it is really important for you to get clear on a) what your business actually needs and then b) look at whether you need to hire a VA or OBM to fill that need. There is alot of ‘grey area’ right now when it comes to understanding the difference in these roles, and so i’ve put together a comparision chart to help illustrate each role and how they work together. (And to also clarify when a business owner is ready to hire either a VA or OBM). Feel free to share this report with your clients and colleagues, you have my blessing to do so as long as you don’t make changes to the PDF. to recession-proof your business too. In the spirit of meeting the demand head on, I’m offering an Open House Class to demystify the whole concept, and it’s f’ree of charge. If you’re at all curious – right now, because you’re chomping at the bit, ready TODAY to take the plunge – or – because you know pretty soon you may become a little bored or frustrated, and you’ll want to know what else is available to you – this is THE call for you this year. Join me for an “anything goes” Q&A call this Wednesday, March 4th at 9am pacific / noon eastern. hour of your time Tina? Can’t make it? No worries, as always the call will be recorded and you can book time in to listen after your client day is done. Just remember there’s more to life than trading your hours for money – to improve your lifestyle you need to find a way to leverage, and Online Business Management is one definite way to get just that. Go ahead and register and you will get a copy of the MP3 recording that same day. New Online Business Manager Training – Now Open! It’s official, the brand new Online Business Manager Certification and Training program is now officially open for application. The trouble is that there aren’t many Online Business Managers out there yet – the few that exist are already busy and don’t have room to take on new clients. So I don’t have anyone to refer these clients to, which is a shame! Over the past few months I have also been hearing from a number of VAs and other online support professionals who have expressed a strong interest in becoming an Online Business Manager, but you feel that you don’t yet have the expertise to officially step into the role. I’m sure you can see where i’m going here – it is pretty obvious that, with a bit of training and support, we can create a community of Online Business Managers who are confident and ready to work with these business owners that are so desperate to hire you. Which is exactly why i’m quite thrilled to announce the first ever…. 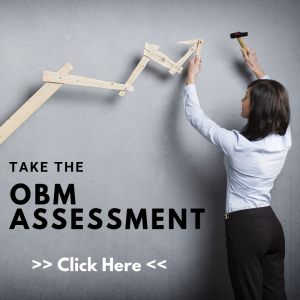 Most online business training programs are directed to the business owner (how to start and grow your own business), however this is truly the only training that is specifically and purposefully taught from the perspective of being the OBM for these business owners. So the content may be familiar, but the orientation, values and depth will be very different. I’m especially excited about Module 3 – that alone will be worth the price of admission! 5 of the 20 spots are already spoken for, so be sure to grab one for yourself if this training speaks to you. Or feel free to pass this along to a member of your team or a colleague who may be ready to shift into this role. Don’t be afraid to nag! Now this may make you chuckle, but it really is a very common complaint that I hear from business owners… they really want someone who is going to keep them on task. Someone who will follow up with them to ensure that they are doing the things that need to be done – and perhaps nudge them along or hold them accountable when they don’t stay on task. I like to call this being a ‘professional nag’ for your clients. And yet many VAs out there aren’t doing a very good job of this. Even when their clients specifically ask them to ‘be a nag’ they still aren’t doing it. b) they aren’t comfortable doing it. So let’s break it down a bit and take a look at how we can lovingly nag our clients. 1. Understand why nagging is important! At face value it is easy to think that our clients shouldn’t need to be nagged – after all, we are all adults and it is their business right? Shouldn’t they already be motivated to get things done? Even with the best of intentions, most business owners are simply too busy or distracted and they forget about or lose track of priorities in their own business. They want someone who is going to remind them of what is important and help them keep it front of mind. Once you *get* this you can see where nagging is actually a very important benefit to your clients. 2. Ask them for regular updates on project X. Sometimes the simple act of knowing that you are going to be asking them on a regular basis about X is enough to get people moving. Make sure to give them a deadline for completing X or remind them of a previously set deadline… people are more likely to complete a task when they know they have a deadline (it’s human nature). 3. Ask them where they are stuck. If something isn’t getting done it is usually symptomatic of an underlying issue. For example, let’s say you are waiting on your client to write an article for the newsletter. It could be that they can’t think of a topic to write about (brainstorm with them) or they know what they want to write about but haven’t had the time to sit down and do it (start the article for them and have them edit/finish it). In some cases it could be that priorities have shifted and project X is no longer as important as it was. Regardless of the cause, if you ask where things are stuck then you can look at ways to help move things forward or let things go. 4. Look for ways to clear their plate. Alot of times our clients get busy or distracted with things that they actually shouldn’t be doing. If your client seems overwhelmed to the point where things aren’t getting done take a look at where they are spending their time. Chances are that there is some stuff that you or another team member could take off of their plate to free them up to focus on other things. 5. Ask them how the want to be nagged. You might have it in your head that it needs to be some big elaborate nagging solution, when all they actually want is for you to ask them once a week about X. Or maybe send them a weekly list of ‘projects on the go’. The heart of nagging is about providing a constant reminder to your client about what is important – so that they can refocus themselves to do the things that are important. Regardless of what that constant reminder looks like, be sure to do it. As a sidenote for you aspiring Online Business Managers – if you are going to play this role for your clients it is *essential* that you get comfortable with nagging. It is a key skill of the Online Business Manager – so much so that it is in the name – Online Business MaNAGer, hehe. We’ll be talking about this alot in the new Online Business Manager Certification and Training program.